Apple has a strong connection to the world of education. 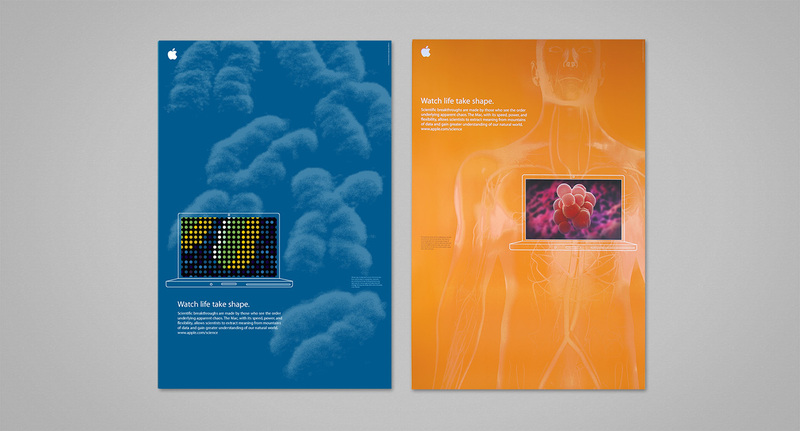 These posters were designed to promote the use of Macs in the life sciences. The light areas are a subtle gloss varnish on the matte backgrounds. 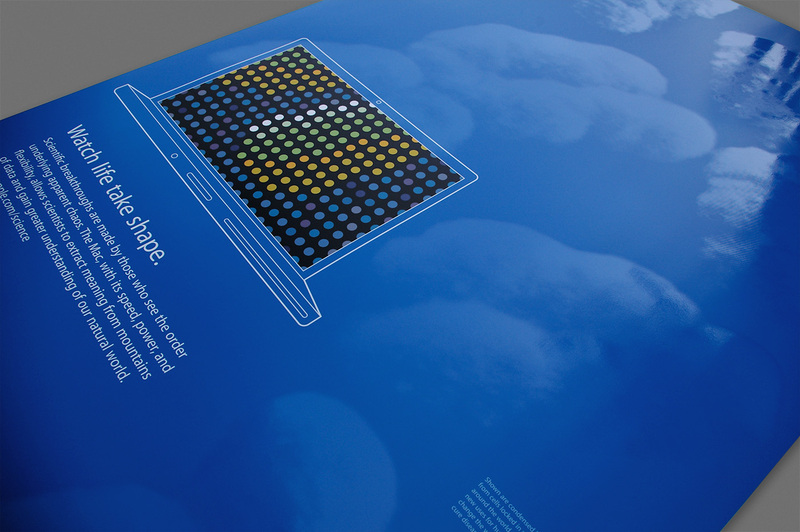 The screens show a visualization of a biological entity or process which completes the picture in the background.